Rather had complained about Professor Amita Singh alleging that she had told him he looked like "a terrorist who has triggered 10 bomb blasts"
The Delhi Minorities Commission has directed the Jawaharlal Nehru University (JNU) administration to conduct an inquiry into the allegations levelled by the JNUSU secretary against a professor for making religious comments. 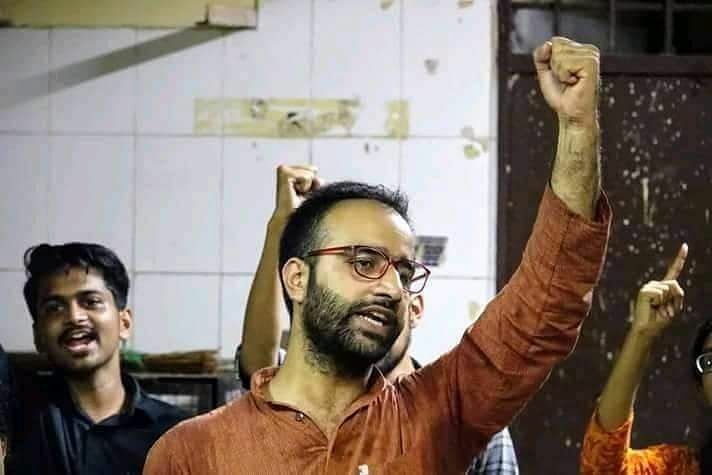 Aejaz Ahmed Rather, the JNU Students' Union (JNUSU) secretary, had complained to the commission against Professor Amita Singh of the Centre for the Study of Law and Governance, alleging that she had told him he looked like "a terrorist who has triggered 10 bomb blasts" on December 26. When the incident occurred, Rather told Edex that the professor had pulled up to where he and his four friends were sitting. She then proceeded to ask them to show their ID cards and prove they are JNU students because they didn't "look" like students who had been studying there. Despite Rather being the general secretary and therefore a familiar face on campus, yet the professor allegedly did not recognise him. When he and his friends refused to show their ID cards claiming she had no authority to demand that of them, she apparently began to abuse them. The JNUTA had issued a statement condemning the statement of the professor to which Singh had responded by asking for President Atul Sood's resignation. She has also filed a police complaint against JNU Teachers' Association president Atul Sood and the JNUSU secretary for allegedly circulating fake news and trying to disturb peace, communal harmony and inciting violence and divisiveness on the campus. 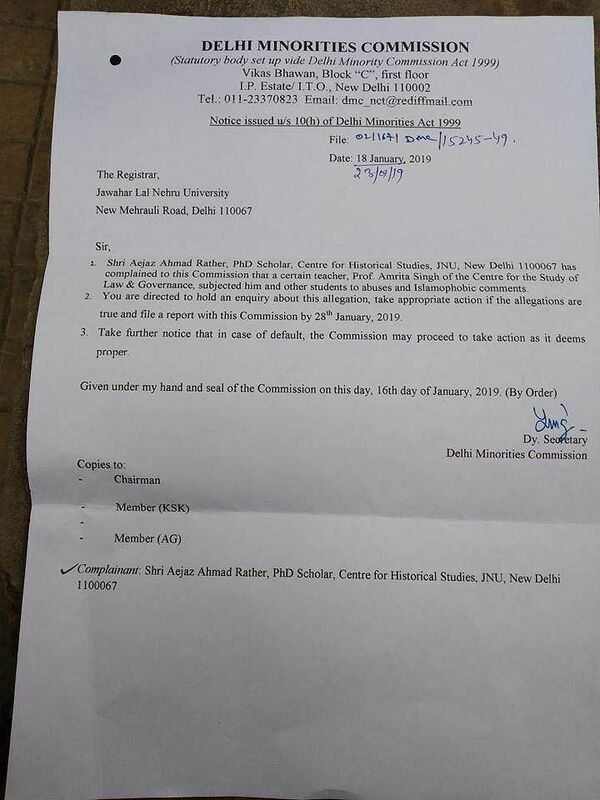 Following Rather's complaint, the Delhi Minorities Commission directed the JNU administration to conduct an enquiry against Singh, the commission said. In a letter addressed to the JNU registrar, the commission has directed the university administration to conduct an inquiry on the complaint filed by Rather by January 28 and submit its report. Further, the commission has stated that if the university fails to conduct a timely inquiry, it will take action.